Join us for a fabulously fun Couple’s Valentine’s Cruise to the beautiful Mexican Riviera! We’ll set sail on the stunning Royal Princess cruise ship for 7 romantic days. Leaving from Los Angeles, CA, we’ll visit Cabo San Lucas, Mazatlan and Puerto Vallarta. 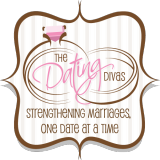 This group cruise includes marriage enrichment seminars, group dinners, group excursions and so much more!!! You won’t want to miss this! Check out all the previous cruise photos at the links above to see how much FUN we have!! Our own “Newlywed/Not-so-newlywed” game show! 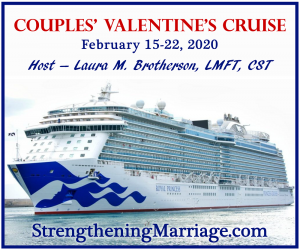 As part of this fabulous Couples’ Cruise you will enjoy nearly 7 hours of additional fun and marriage-enriching insights and activities at the marriage seminars during the days at sea. 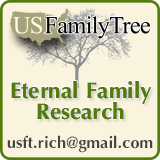 If you’ve been on Laura’s counseling wait list for some time or would just like a little extra help for your marriage, this is a great way to get many hours of “counseling” for a fraction of the price. A deposit of approximately 20% of the cruise cost per person is due at time of reservation to secure your cabin. Only 50 couples will be able to join us, and previous Couples’ Cruises have sold out, so book early! This cruise will fill fast especially with the reduced flight costs (and flight length) for most couples coming from the western part of the country. With our “bring some friends” discount, you can get a $25 credit for every couple you refer (up to three additional couples) that join us on the cruise! It can be even more fun to bring along some friends for the festivities! * Click the other Couples’ Cruise links at the top of this page to learn more about previous Couples’ Valentine’s Cruises — including reviews and lots of FUN pictures! Click Here for more information and to Reserve your Cabin! As we get closer to the cruise time, we will be offering excursion opportunities with the group at these ports like whale watching!! (additional costs apply). These are optional, but a fun way to interact with the other couples in the group and enjoy the entire experience even more. Previous Couples’ Cruises have SOLD OUT and this one is sure to as well…! Just getting away from it all for some rest and relaxation…!